A Manatū Taonga audio guide to the Moeraki Boulders. Check out the Ministry for Culture and Heritage's audio guide in the image carousel above. 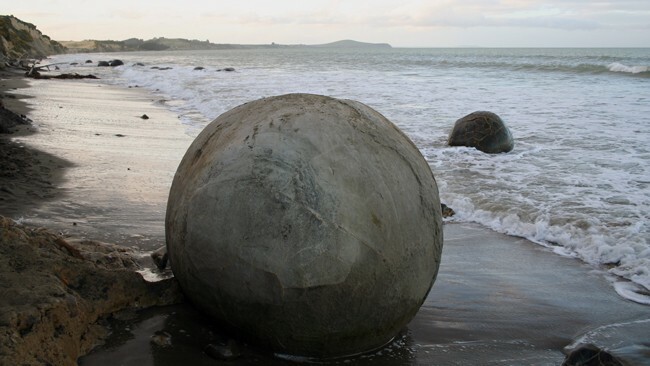 In Māori tradition the remarkable spherical boulders on Moeraki beach are eel pots -- or baskets of kūmara (sweet potato) washed ashore from the Ārai-te-uru voyaging canoe. To scientists the boulders are concretions, formed around 60 million years ago from sediment and calcite.